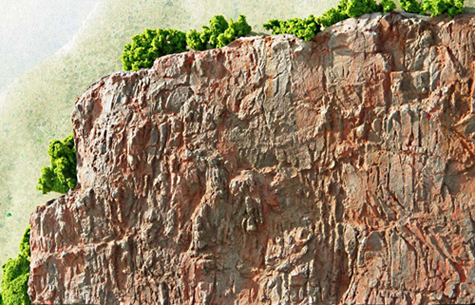 Measuring 31 by 7 inches, Basalt 1 allows you to build a vertical basalt cliff in a big hurry. The vertical joints are very obvious, but only a few of them form near-hexagons. It’s perfect for tight spaces, where there isn’t much space available between the track and the cliff wall.